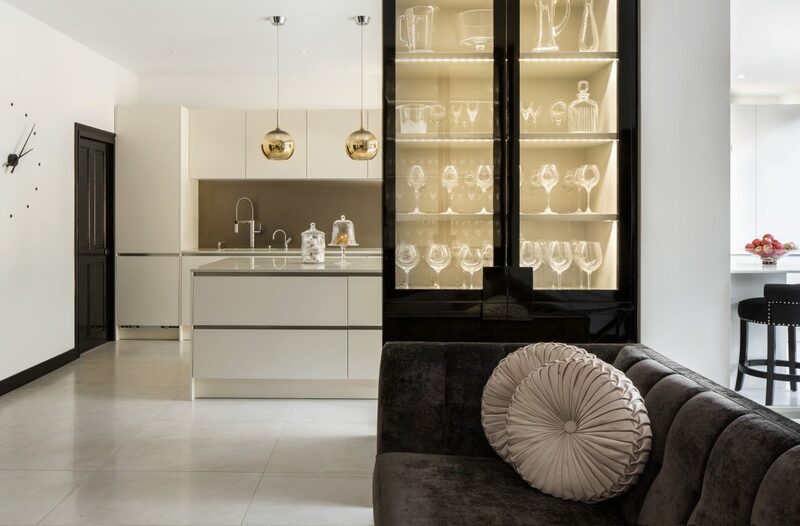 A family house which required redesigning in suburban North London. 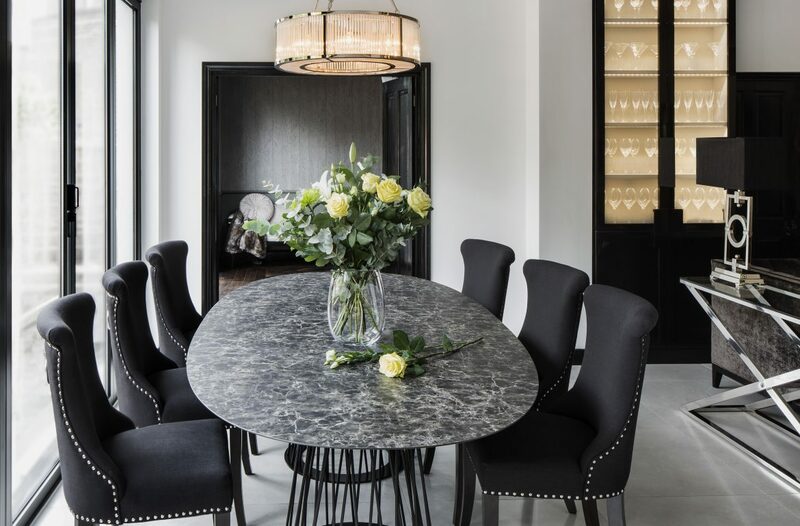 The clients frequently entertain their friends and family, so they wanted to ensure we could accommodate everyone in a comfortable and stylish way which was also spacious and relaxing. 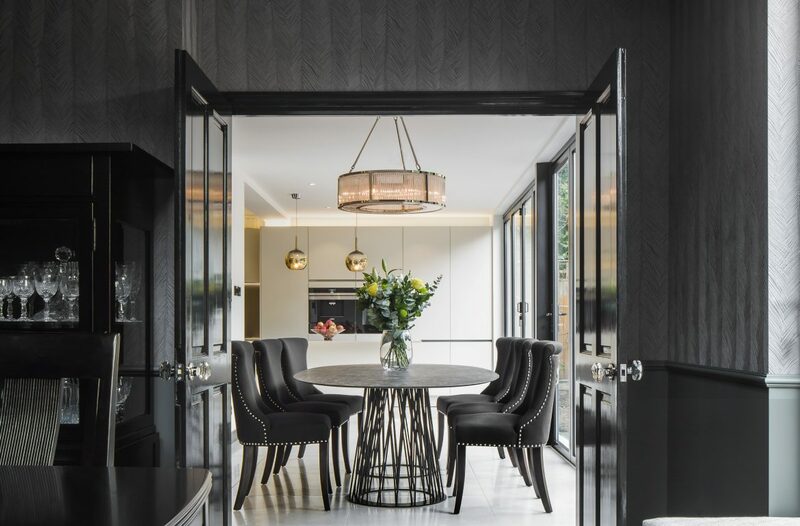 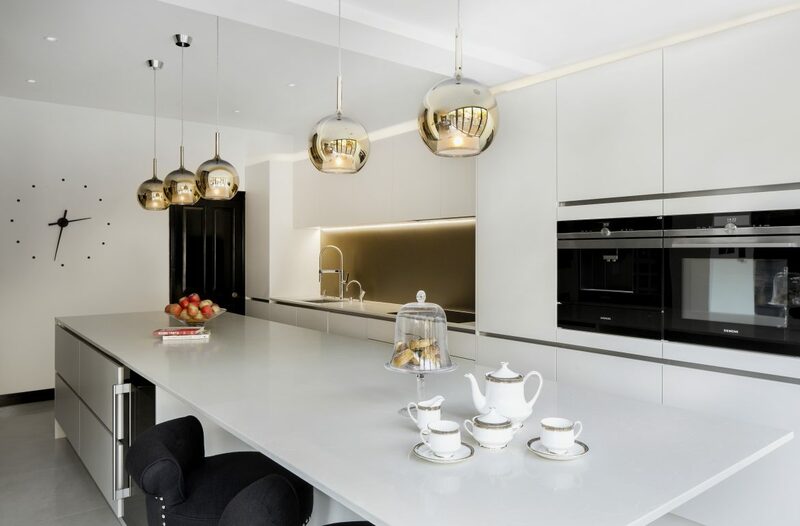 With the addition of a full-width rear extension, we created new spaces for a formal Dining Room, a large open plan Kitchen with a Breakfast Bar and fully integrated appliances, and a stunning new Living Room. 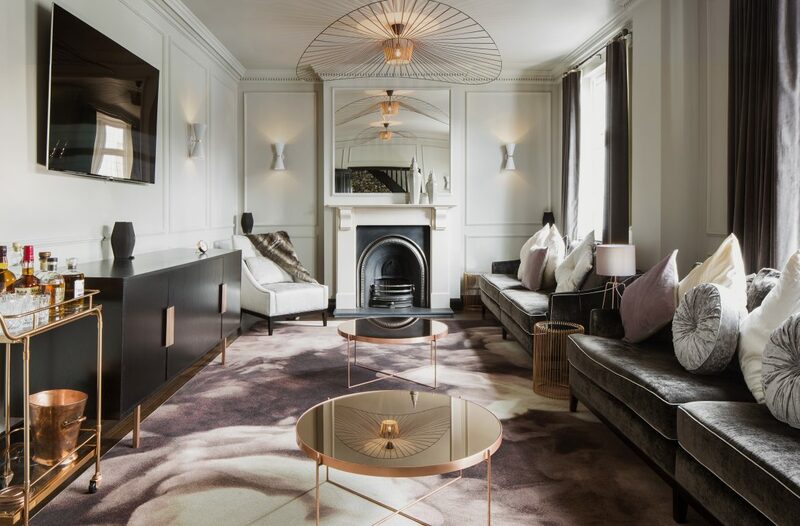 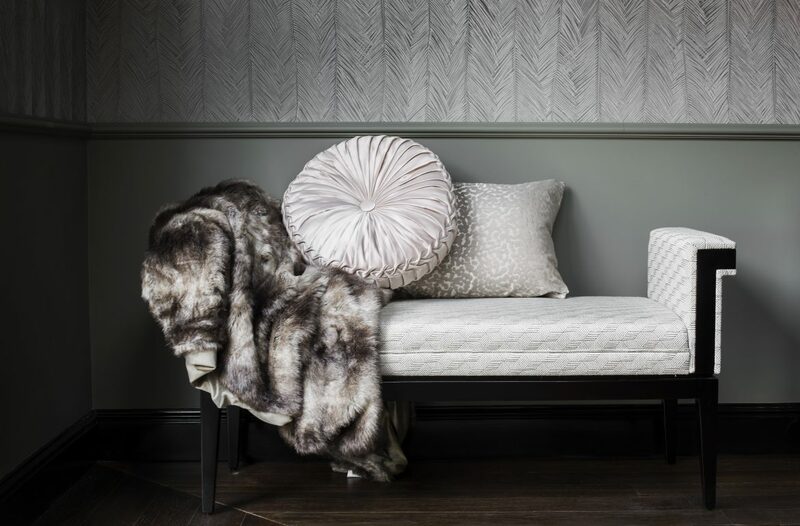 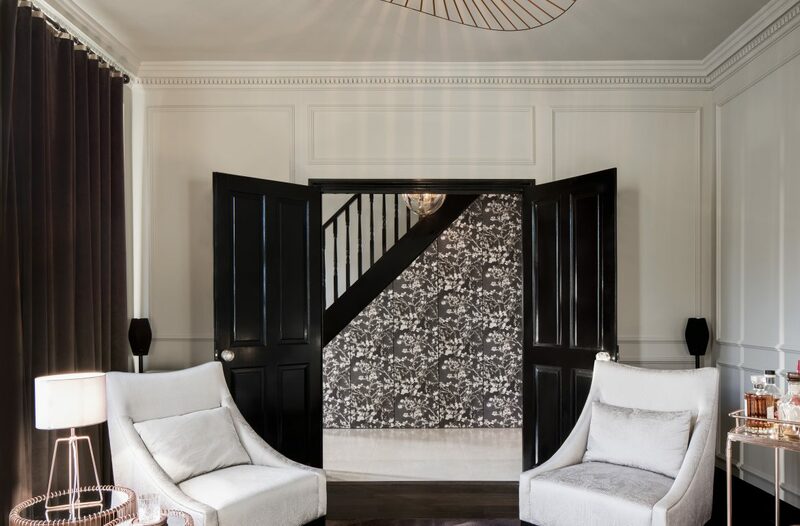 Throughout, we used dark paint colours to compliment the richly textured fabrics, understated wallpapers, deep wool carpet, polished copper side tables and accessories.